Watch what’s coming soon to Rule Boston Camera. Stay tuned for details on Tuesday, February 21st, and check our daily feed on Facebook, Twitter, Instagram, LinkedIn, Google+, and Pinterest. Tune in to our IN THE SHOWROOM video series for a look at the latest equipment + technology available to buy or rent here at Rule Boston Camera. Contact us via email or call 800-rule-com. We’d love to hear from you! Watch the latest video in our IN THE SHOWROOM series with RBC MoVI Tech, Dylan Law, who has some fun with a time-lapse build for the Freefly MoVI Pro, with RED WEAPON digital cinema camera, Zeiss Standard Prime lens and the Teradek Bolt. Stay tuned to our social media channels (follow us on Facebook, Instagram, Twitter, Google+, LinkedIn, Vimeo and Pinterest) for the latest news + events including more with the MoVI Pro. Need to buy or rent this or other Freefly motion tools? We’d love to help! Contact us at answers@rule.com or 800-rule-com. With deteriorating road conditions and heavy snow accumulating throughout the day, we will officially close at 12:00 noon so our staffers can get home safely. Available for emergencies at 800-rule-com. Stay safe, everyone! 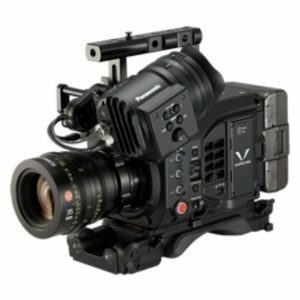 CASH REBATES Available for the Panasonic Varicam LT! The only thing more exciting than the recent Patriots Super Bowl victory, is the announcement of CASH REBATES for the Panasonic Varicam LT 4K Cinema Camera! Between now and March 31, 2017, Panasonic is offering two rebates on the VariCam LT 4K cinema camcorder — a $4,500 cash rebate on a camera package purchase or a $2,500 cash rebate on a body-only purchase. Powered by the same Super 35mm 4K native imager as the full-size VariCam 35, the VariCam LT cinema camcorder offers a lighter, smaller form factor. Ideal for handheld shooting, it’s also a cinch to mount on gimbals, cranes, and drones. Thanks to the imagers’ 14+ stops of dynamic range, you can capture breathtaking, cinematic HDR images in up to 60p in 4K and up to 240p in 2K. Only the VariCam boasts dual native ISOs, letting you shoot ISO 5000 to capture Magic Hour or candlelight scenes; all without any loss of dynamic range, resolution, or color. Save time and money with fewer lights for quick set-ups. There has never been a better time to own this incredible camera…. contact us today to order yours! Click here to learn about our VariCam LT-Pro Package. And here to learn about our VariCam LT-ProEX-B512 Package. Interested in trying before buying? Click here for information on renting the VariCam LT.